The Russian equivalent of Facebook has been ordered by a court to crack down on music piracy. Following legal action initiated by Warner and Universal, VKontakte must prevent piracy using filtering technology. The social network, which has 70 million daily users, enjoyed a partial victory when the court dismissed claims for $547,000 in damages. 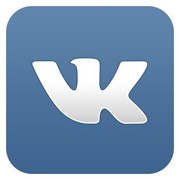 In 2014, Universal Music and Warner Music ran out of patience with Russian social networking giant VKontakte. Alongside claims that VK facilitates large-scale copyright infringement, the labels filed a copyright complaint with the Saint Petersburg & Leningradsky Region Arbitration Court. “VK’s music service, unlike others in Russia, is an unlicensed file-sharing service that is designed for copyright infringement on a large-scale. To date the company has taken no meaningful steps to tackle the problem,” IFPI’s Frances Moore said at the time. Today, more than a year later, a decision has been handed down. According to Russian news agency TASS, the Court largely upheld the claims of the labels. As a result, VKontakte is now obliged to implement “effective” filtering technology to prevent infringement of Universal’s and Warner’s rights. According to IFPI this means that VK will not only need to remove the labels’ music from its service, but also prevent the re-uploading of the same in the future. “This is a very important and positive decision for the Russian music market and for music creators in Russia. VK’s infringing music service has been a huge obstacle to the development of a licensed business in Russia, making available hundreds of thousands of copyright infringing tracks to more than 70 million daily users,” says IFPI CEO Frances Moore. While the labels will be content with what could amount to a significant victory, they didn’t have things entirely their own way. The Court rejected their calls for 36 million rubles ($547,000) in compensation. Sony Music was originally involved in the action against VKontakte but dropped out after agreeing a confidential settlement last summer. c There are 106 comments. Add yours?